The Series A funding will continue to fuel the European startup's push into global markets. Online fitness startup Freeletics has raised $45 million in Series A funding, according to an announcement released yesterday. The funding round was led by FitLab, Causeway Media Partners and JAZZ Venture Partners, with additional support from Courtside Ventures, Elysian Park Ventures, ward.ventures and individual backer Tony Robbins. Yesterday’s $45 million is the latest injection of capital into what was already a vivacious market. 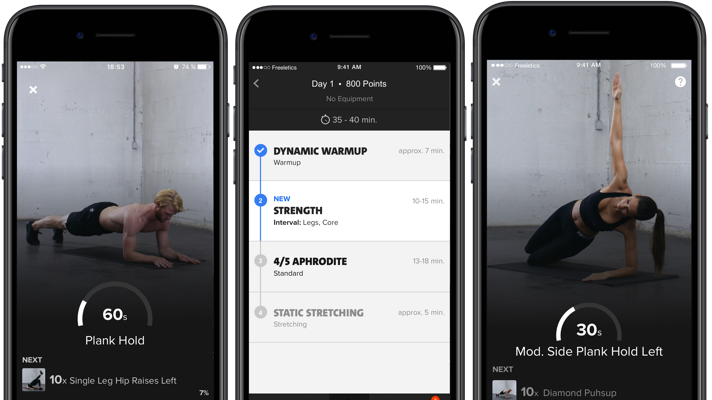 Freeletics’ app-driven fitness regimens are competing with similar products from digital startups like Aaptiv, Virtuagym and Fiit, as well as more established fitness chains such as Gold’s Gym. Beyond of the app, Peloton and Mirror both offer connected in-home exercise devices, while ClassPass’ virtual fitness membership network connects users to gyms or fitness centers near them.